Accurate, Affordable, Easy-to-Use and Maintain Combustion TOC Analyzer! 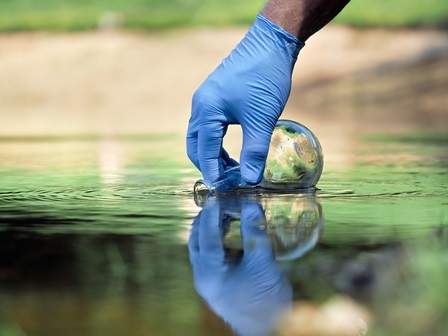 Total organic carbon (TOC) measurement is a well-established technique that provides valuable information about water quality for process control and regulatory compliance. 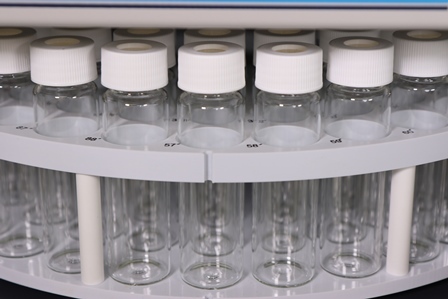 Though high-temperature combustion TOC has been shown to be very effective for the analysis of samples that are of a high molecular weight or contain substantial amounts of salt or difficult-to-oxidize organics (e.g, humic acid), these types of samples are problematic for combustion TOC analyzers. They can clog the instrument, cause catalyst poisoning, and shorten the injector life, leading to unreliable data, increased catalyst costs, and a significant amount of downtime for servicing the instrument. 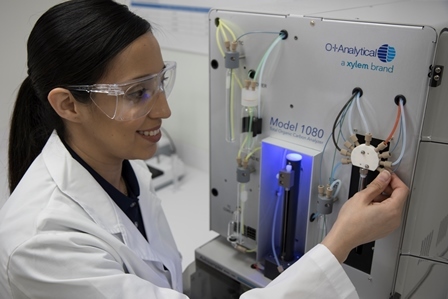 With over 45 years of experience in designing TOC analyzers, OI Analytical brings game-changing technology to combustion TOC analysis for the accurate results you need with a low cost of ownership and unprecedented ease of use and maintenance. Engineered for unsurpassed reliability and simple operation, the Model 1080 Total Organic Carbon Analyzer handles even the most challenging applications without the need for expensive additional kits, modules or special options. Designed with the operator in mind, the 1080 TOC Analyzer has been carefully engineered to provide an intuitive workflow experience. You can view the instrument status at a glance from anywhere in the lab with the TruColour™ LED Indicator. OI Analytical’s newly developed technologies are designed to keep the cost of ownership low by extending the life of the instrument and its components. Critical components, such as the combustion tube, furnace and consumable parts, are quickly and easily accessed through a side panel making maintenance simple. When necessary, the catalyst can be packed in a matter of minutes to minimize instrument downtime. Patent-pending technologies protect the catalyst, increase reliability, reduce maintenance and operating costs, and extend the life of the instrument. The 1080 TOC offers automatic sample acifidification and sparging. The automatic dilution function reduces sample salinity, acidity, and alkalinity, significantly extending the dynamic range. 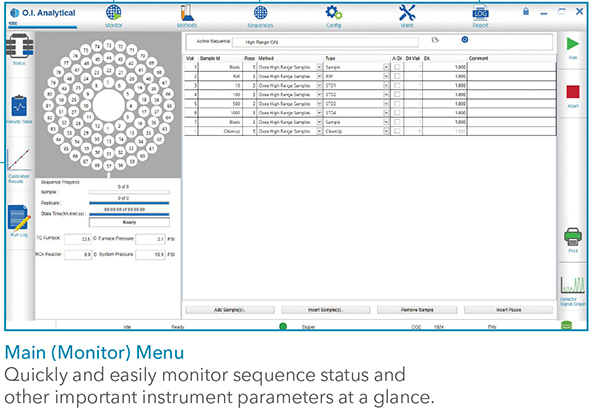 With intuitive software features, priority samples can be added at any time without interrupting the operation of the instrument. Built-in tutorials further simplify instrument operation. The high-temperature combustion technique has been approved and adopted in numerous regulatory compliance methods, standards, and norms for water quality testing. Join John Welsh, PhD, in his three-part total organic carbon (TOC) analysis webinar series. Watch all three webinar recordings now! View our latest TOC webinars! NEW! Easy-to-use and maintain combustion TOC Analyzer.